Mr. Victorino is a special counsel in the Government Contracts, Investigations & International Trade Practice Group in the firm's Washington, D.C. office. Mr. Victorino's practice involves both counseling and litigation in the Public Contract Law field, representing domestic and foreign concerns that sell products, construction or services to Federal, State, or local government agencies. 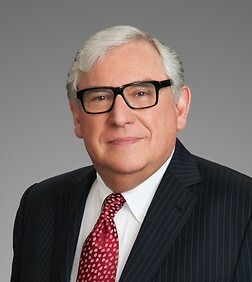 In his 40 year career, he has litigated in excess of thirty matters before the Court of Federal Claims, the Boards of Contract Appeals, the Comptroller General, and various Federal District Courts. Mr. Victorino writes and speaks extensively on government contracts matters including Thompson Reuters/Federal Publication's flagship course on Rights in Technical Data and Computer Software. He is recognized as a Washington, D.C. Super Lawyer. Currently representing Aerospace and Defense company in a Contract Dispute before the Armed Services Board of Contract Appeals defending the company's claims of commercial and government purpose rights licenses in technical data and software related to aircraft purchased by the United States Air Force. Currently representing satellite company in negotiating long term hosted payload government contract with FAA. Led a 10 person team of attorneys, legal assistants, and damages and scheduling consultants in the development of claims valued in excess of $270,000,000 under an information technology government contract. Assisted the client in successfully structuring a settlement without resort to litigation. Assisted a major Aerospace and Defense client in evaluating data rights claims by critical subcontractor and assisted in developing a litigation strategy to defend against claims including involvement of antitrust and FAA counsel in effort. Settled short of litigation following exchange of position statements. Served as government contracts issues counsel in federal district court litigation between a prime contractor and subcontractor related to multiple cross accusations of misappropriation of trade secrets, improper recruiting of employees, antitrust violations, and Procurement Integrity Act violations. Matter settled after extensive discovery and motions. Assisted in the defense of a termination for default of a contract for the installation of a major software/information technology upgrade at a federal agency. Assisted in the development of affirmative constructive change claims in excess of $6,000,000 and breach of contract damages claim of $29,000,000. Termination damages in excess of $40,000,000 were asserted by the government. Successfully settled after four years of litigation in the United States Court of Federal Claims. Led a team of attorneys and consultants in the defense of False Claims Act qui tam action filed in connection with the operation of a Department of Defense National Laboratory. Matter settled for nominal amount after extensive discovery and the filing of successful motions to dismiss and for partial summary judgment that eliminated key portions of the complaint or otherwise limited any potential damages. Litigated at the Armed Services Board of Contract Appeals $3 million in constructive change claims under a contract to design and develop software designed to maintain Minuteman Missiles. The U.S. Air Force had defaulted the contract and demanded return of $4.2 million in progress payments. Litigated at the Armed Services Board of Contract Appeals, resolved through an alternative disputes resolution process, a dispute regarding rights to software designed and developed to improve the administration of design, manufacturing, and procurement changes under the NASA Shuttle Program. Represented multiple companies in lawsuits in state and federal courts against competitors’ misappropriation and misuse of technical data and software. The identification, development and negotiation of $25 million in constructive change claims arising under a Navy contract for the construction of two guided missile patrol craft. The identification, development and litigation at the U.S. Court of Federal Claims of $8 million in constructive change claims arising under a contract for infrared decoy flares. Assisted in the evaluation of data rights held by cutting edge technology acquisition target associated with a major, current government program. Assisted in the development of a strategy to "quiet title" to the intellectual property and thereby enable the client to move forward with the acquisition. Advised underwriter’s counsel in initial public offering of telecommunications company whose primary assets were patents related to inventions made during the course of Government contracts. Identified remedial actions necessary to resolve patent ownership issues. Assisted Fortune 100 hi-tech commercial company in its initial entry into federal contracting market including advice regarding risk levels of various contract vehicles and procurement clauses. Assisted the companies in understanding obligations under various socio-economic clauses and programs and assisted in establishing policies and procedures to enable compliance. Provided advice regarding corporate structure to minimize or insulate various risks. Assist clients in dealing with cost and accounting and management systems audits including responding to adverse findings under DCAA and civilian agency incurred cost audits. Advised on a broad spectrum of accounting and cost allowability and allocability issues including issues related to IR&D costs, Pension costs, Executive Compensation costs, Environmental costs, and Management and Accounting System Deficiencies. Assisted numerous contractors in negotiation of patent and data rights with the Government including designers/developers of simulation software, designer/developer of computer hardware and software, first response software, developers of chemical, biological, radiological, nuclear and explosive detection products, satellite communication software and hardware, designers/developers of aircraft components, patentable fuze technology, patentable weapon laser technology, and patentable air refueling technology. Assisted foreign based and traditional commercial companies become involved in federal government contracting including advice regarding corporate structure, protection of intellectual property rights, and special risks associated with the federal government market. Developed and assisted in negotiating teaming agreements for multiple companies involved in classified research and development programs, for suppliers of military aircraft components, and developer suppliers of communications and information technology products and services. Provided advice regarding a potential organizational conflict of interest ("OCI") and assisted the software development client in developing a mitigation plan to enable it to bid on future work notwithstanding the potential OCI. Assisted foreign owned or controlled companies in the acquisition of domestic national defense companies, including preparing and filing requisite notices and documentation necessary to novate existing contracts. "The Patent Rights and Technical Data Rights Clauses," Chapter 1, Rights in Technical Data and Patents Under Government Contracts," Federal Publications Inc. 1986-12 eds. "Business Practices Required to Protect Proprietary Property," Contracts Conference, Fortune 200 Aerospace Defense Contractor, October 5, 2011. "Government Contract Novation Agreements," Contracts Conference, Fortune 200 Aerospace Defense Contractor, October 19, 2010. "Enforcing Data Rights," Briefing Papers, No. 91-10 (September 1991), 9 BPC 471. "More Contract Clauses (The Inspection, Warranty, and Termination Clauses)," Chapter 6, Fundamentals of Government Contracting, Federal Publications Inc. 1982-05 eds. "Commercial Item Exemptions To The Truth In Negotiations Act And Cost Accounting Standards Under FASA And The Clinger-Cohen Act," Third Annual Federal Procurement Institute, American Bar Association, Public Contract Law Section, Feb. 27 & 28, 1997. "Multiple Award Task & Delivery Order Contracts" Briefing Papers, No. 96-10 (September 1996). "Competing for Professional Services Contracts," Briefing Papers, No. 94-10 (September 1994). "Antitrust Implications of Defense Industry Business Combinations," Briefing Papers, No. 93-7 (June 1993). "Government Failure To Disclose," Briefing Papers, No. 92-10 (September 1992). "Payment Delay Claims," Proving and Pricing Construction Claims (John Wiley & Sons 1990). "Non-Recurring Cost Recoupment," Briefing Papers, No. 90-10 (September 1990), 9 BPC 205. "Qui Tam Lawsuits," Briefing Papers, No. 89-10 (September 1989), 8 BPC 427. "The Inspection Clause," Briefing Papers, No. 88-10 (September 1988), 8 BPC 199. "The IR&D/B&P/Selling Costs Dilemma," Briefing Papers, No. 87-10 (September 1987), 7 BPC 625. "Compliance Programs," Briefing Papers, No. 86-11 (October 1986), 7 BPC 387. "Acquisitions and Mergers," Briefing Papers, No. 85-9 (September 1985), 6 BPC 351. "Personal Compensation Costs," Briefing Papers, No. 84-6 (June 1984), 6 BPC 351. "Post-Termination Costs/Edition II," Briefing Papers, No. 83-6 (June 1983), 6 BPC 171. "Bid Protest Suits In Federal Courts," Briefing Papers, No. 83-4 (April 1983), 6 BPC 141. "The Inspection Clause," Chapter 1, Inspection, Acceptance and Warranties (Federal Publications, Inc. 1988-99 eds.). "U.S. Defence Contracting and FAR Compliance in Europe," C5's Forum Conference, June 26-27, 2013, London, UK. "Evaluating Data Rights in DoD Source Selections and IP Valuation," 2013 Data Rights Forum, Aerospace Industries Association, June 19, 2013, Arlington, VA.
"The Patent and Technical Data Rights Clauses," Rights in Technical Data and Patent Rights Under Government Contracts, Federal Publications Seminars, 1986 - 2012. "The FAR Mandatory Disclosure Rule," Federal Publications Seminars, 2010 - 2012 (with Jonathan S. Aronie). "Protecting Your Client's Technology: Intellectual Property Under Federal Government Contract- A Primer," 18th Annual IP Fall CLE Seminar, The Intellectual Property Section of the Virginia State Bar. "Advanced Subcontracting & Teaming Agreements," Federal Publications Seminars, 2004-2010 (with John Chierichella). "Tales from the Dark Side - Government Contractors Horror Stories and Lessons We Can Learn From Them," Security Institute program - The Government Security Market, April 25, 2006, Washington, D.C.
"The Inspection, Warranty, and Terminations Clauses," Fundamentals of Government Contracting, Federal Publications Seminars, 1982-2005. "The Inspection Clause," Inspection, Acceptance, and Warranties, Federal Publications Seminars, 1988-Present. "Technical Data Rights: Legislative and Administrative Developments," The Government Contracts Year In Review, Federal Publications Seminars, 1992-2000.